The following is a conversation I had with an Air Force Airman 1st Class (A1C or E-3) on Reddit Military Finance, a great resource for asking anonymous and difficult military financial questions. I've reproduced it below (with some redaction for privacy) because I think it's useful information for all military personnel. The lesson here is that it's never too early to start investing! If you can start investing the Roth TSP as a young enlisted personnel you will reap massive benefits in the future. It's time in the market, not timing the market, that yields the greatest returns. Compounding interest takes time so you got to start early. Good Afternoon Captain, I read your one post about TSP contribution and felt the need to message you and pick your brain a bit if you don't mind. I'm an E-3 in Air Force and work in Finance. My monthly paycheck is $1000 with monthly deductions/ Car payment $312 for 4 years/ & TSP $200. I'm usually left off with $200 to myself once I pay off my phone bill and car insurance. My car loan is in the 8% range I can't remember exactly, I purchased the vehicle in November of last year for 10800, currently paying 312 a month on a 4 year plan. I've been thinking today of trying to pay it off earlier would probably be a smarter idea so I could have more disposable income. I've saved a few months worth of savings, my ideal goal was to have at least $10k in my savings account(too much?). Last week I created an IRA Brokerage account on USAA to get into the world of investing in the stock exchange. 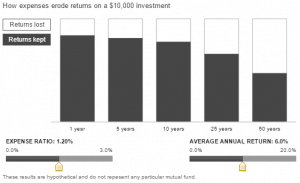 In the post you made you said you max out into the TSP and create a IRA Vanguard account and max out into that. Does my IRA Brokerage account give me a tax break? I guess that's something I should of spoke to USAA with? All I know is that the money is tax free when I'm of age and decide to pull the money out. I created my TSP account in January of 2014, sadly it took me a year to actually do research and switch the allocation out of G and putting it in a C S & I Fund ( 70 – 20 – 10). I have already seen major gains but will be changing it soon from some reading and research. In the post you told the OP (original poster) once he has made the savings to message you so you could give him more to do. What information could you provide to me? anything would be helpful. How Much Emergency Fund for an E-3? Thanks for messaging me! I think $10,000 in an emergency fund might be a bit much for you, as your monthly expenses seem to be under $1000. You'd probably be good with $5000, especially if you're not planning on getting out soon. Remember that emergency funds are there to cover rainy days, like if you need to purchase plane tickets to attend grandma's funeral or replace the timing belt in your car. Having an emergency fund keeps you from falling into debt traps and lets you continue investing even when life's little issues crop up. You need to ditch that car loan ASAP! 8% is compounding interest working against you, not for you. I would allocate all additional income you can to paying it off, even to the point of pausing your TSP contributions. Also call USAA, Navy Federal, or Penfed and see if they can offer an auto loan refinancing under that 8%. That could save you a few hundred. I'm going to let you in on a secret. You don't want to “get into the world of stock investing.” It's almost pure gambling and the only winner is your broker (in this case USAA), because they're going to charge you $6+ per trade. If you're only investing a few hundred dollars a month, you're losing. What you want to do is get into the world of making money, not handing money over to financial services companies. Here's what you need to do instead of making USAA richer: focus on maxing out the TSP, specifically the Roth TSP. The reason for Roth is your tax rate is extremely low right now, probably less than 10%. If you deploy, your tax rate will drop to zero. That means the money will go into the Roth TSP low (or no) taxed, grow untaxed, and distribute to you after age 59.5 tax free as well. That's the best tax break available to you right now. Pay your low taxes now and then never pay tax on that money again. The reason to invest in the TSP over the USAA IRA is all about costs. Check out how much high expense ratios can cost you. I've seen USAA funds with expense ratios over 1.5%. Not cool! If you have money in accounts outside the TSP, run them through Personal Capital's Fee Analyzer. It shows you how much of your return you could lose to fees over the course of your life. The TSP expenses ratios are .025%, which are the lowest in the world. In the TSP, you get access to simple, diversified index funds that beat 80% of the actively managed funds over 20+ year periods. The C and S Funds combined cover nearly every publicly traded US company and the I Fund gives you international exposure. The G and F Funds give you access to the US government bond market and the commercial bond markets. And, you can automatically invest in the TSP from your MyPay account so you don't even need to think about it. The TSP is definitely the best investment choice for military personnel because there's almost no cost to buying thousands of stocks and bonds through the different funds. Skip the overpriced USAA funds, go with TSP. Once you max out your TSP ($18,000 in 2015), then you can open a Roth IRA at Vanguard. They have the second lowest expense ratios after the TSP. Your asset allocation ratio (C, S ,and I Funds) looks really good for your age (I'm assuming your younger than 30 since you're an E-3, correct me if wrong.) Good job switching out of the G fund, it's something not a lot of people know to do. Remember to look at the long term. Pick an asset allocation your happy with and only adjust it every year or two. By making frequent trades or chasing performance you may miss out on growth opportunities. I hope you also told this young person to ditch USAA for Vanguard for the funds they already have in an IRA. USAA is convenient, but nowhere near as cost effective. I sure did Drew. The important thing here though is that you start putting money into the TSP. It’s such a good deal and until you’ve maxed it out you don’t need to worry about IRAs.